Many online meme generators have a limited library of meme templates. 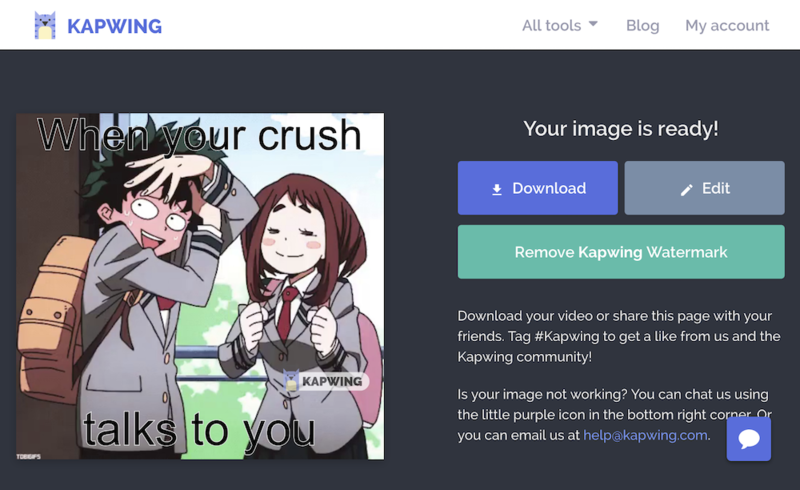 Kapwing is a free meme generator that allows users to upload their own media, add captions and text, and make custom memes instead of relying on pre-existing content. Unlike most meme makers, Kapwing also supports video clips, making it an ideal platform for original meme makers. In this article, I’ll explain how you can use Kapwing to make a custom meme from your own image, photo, or video. Open the Kapwing meme generator and click “Get started” to make a custom template. 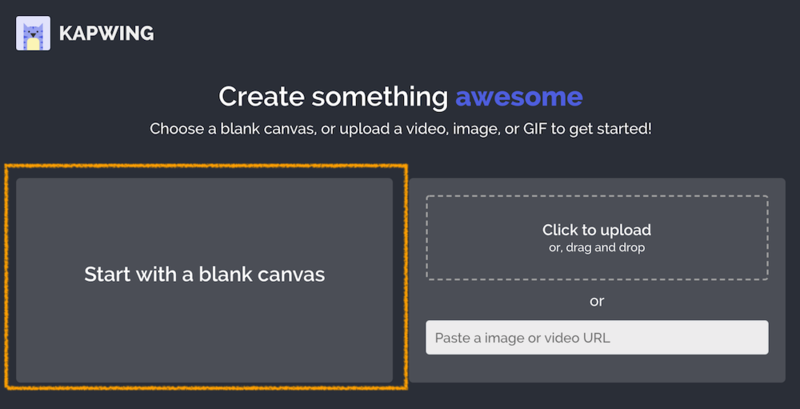 You have two options: start with a blank canvas or upload your own image/video clip. The “blank canvas” option means that you start with an empty background that’s already sized for social media. If you have a specific size requirement for the output, start with a blank canvas to get going. Upload media onto your canvas by clicking the “Upload” button in the toolbar. Kapwing supports videos, PNGs, and GIFs so that creators don’t have to worry about file extensions to upload what they want. You can import from YouTube, Vimeo, Google Drive, or any other website. There’s also an option to “Resize” the canvas, change the background color, and trim any video you import to make it shorter. Instagram memes: For the “Resize” menu, choose the square 1:1 size. This will make your meme the right size for your feed. Collage memes: Position multiple pictures and videos side by side or overlaid on each other. You can make your memes as complex as you like. Comic memes: Put images in a row, like the drake meme. Reddit memes: Since Kapwing supports videos, photos, and GIFs, it’s ideal for Reddit posts. When you upload your image/photo or paste a link directly, the media will take up the whole canvas. This is the right choice if you want to embed text or images right into your picture/video meme. Once you have the right background for your meme, you an arrange the images and videos where you want them on the screen. You can put them side by side, one on top of the other, or overlaid. 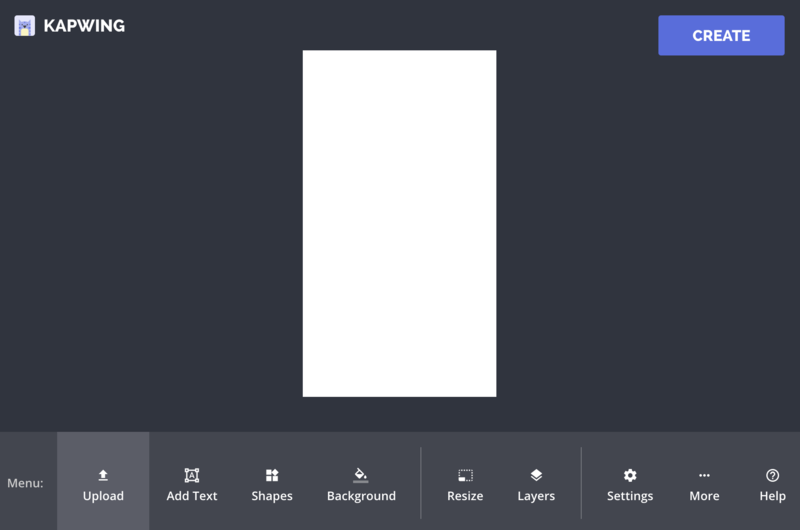 You can add shapes, watermarks, and logos with the simple, Google Slides-like UI. A meme isn’t truly a meme until you’ve added a caption. Just click the “Add text” button in the Kapwing toolbar and drag the text to where you want it on your meme. You can make the text box smaller or larger, add a white or black outline, and change the color. Kapwing has an extensive font library with thousands of fonts that you can choose from and search through. When your meme looks right, click the “CREATE” button to generate your custom meme. Once the Kapwing Kittens process your video, you can download the meme directly and share it with your friends or post it on social media. It’s also possible to “Edit” your meme, in case you made a mistake or want to re-meme the image with a new caption. You can share the edit-able template with your friends to make it go viral! Signing in to Kapwing means all of your memes and Kapwing creations are saved in My Account. There are plenty of benefits to using the Kapwing meme generator to make custom memes. You don’t need to sign in or create an account to use it. 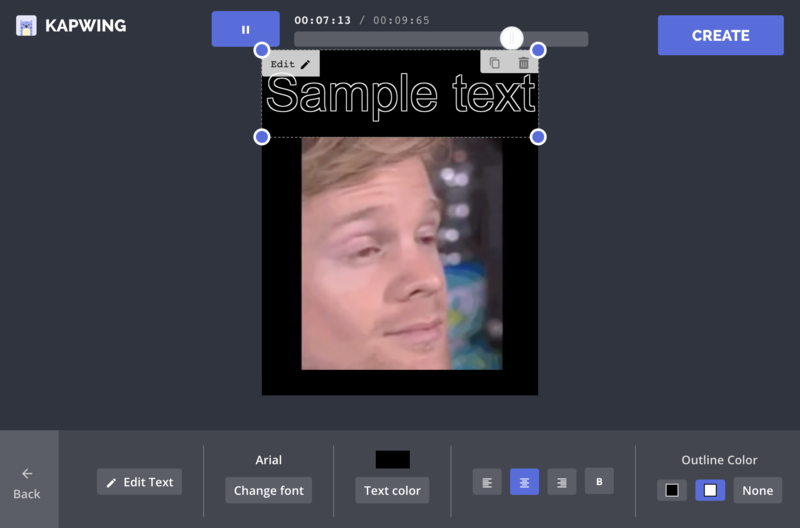 Kapwing’s meme generator works on Chromebooks, both iOS and Android phones, and any computer. Since it’s online, users don’t need to install anything to use it. Users can click on the “Help” button to chat with Team Kapwing at anytime. Kapwing is free to use, but there is a small watermark in the corner of the output video. Users can pay a fee to remove the watermark or join the Kapwing Pro subscription for unlimited no-watermark videos on all Kapwing tools. 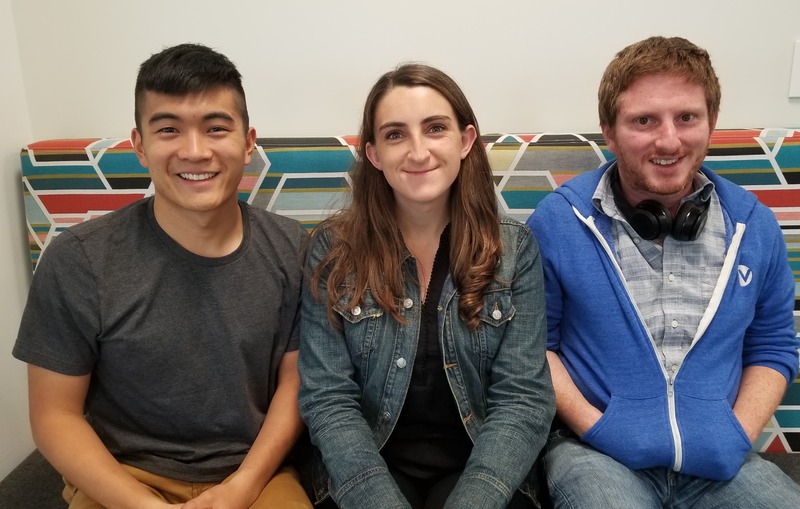 Lastly, Kapwing is a startup, so the creators are constantly adding new features and asking users for ideas. We love meme culture and have made templates of all sorts of memes, like the “What are Those?” video. We always look forward to users emailing us or Tweeting us about our tools and the features they want us to add. Thanks for reading! Happy meme generating.